Just this past week a brand new restaurant opened up in the quaint and cozy Coronado Historic District here in downtown Phoenix. 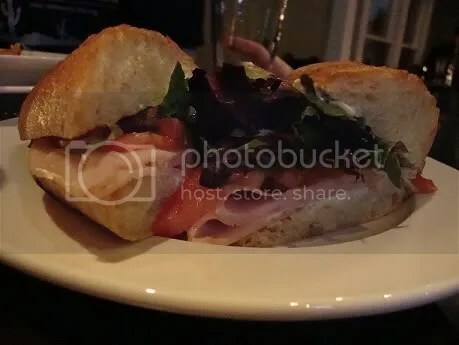 Taking up the old Coronado house that formerly housed the Lisa G Winebar, The Main Ingredient Ale House and Cafe offers high quality salads, sandwiches, and other assorted snack goodies at an incredibly reasonable (see: one of the best deals in town) prices. According to New Times food critic Michelle Laudig’s previous post on Chow Bella, new owner Michael Diamond wanted to open up a neighborhood wine bar and ale house that would cater to the craft/microbrew crowds of today’s foodie culture. Did he succeed? Boyfriend and I were eager to find out, as the aforementioned post boasted over a handful of draught beers and carefully selected wines from all over the world. Diamond previously worked with Phoenix Winebar power-house Postino, so that alone made me feel all giddy inside. After all, the apple doesn’t fall far from the tree, does it? We were able to pay the new joint a visit last night after our dear friends Ben and Corinne (See: The Future Mr. and Mrs. Porchowitz) extended the invite (and thankfully so, I needed a night out where I wouldn’t be in my bed before 10p.m.) After driving over rivers and streams that flooded downtown, we were welcomed into a dark and intimate space that felt almost nothing like its former ghost. 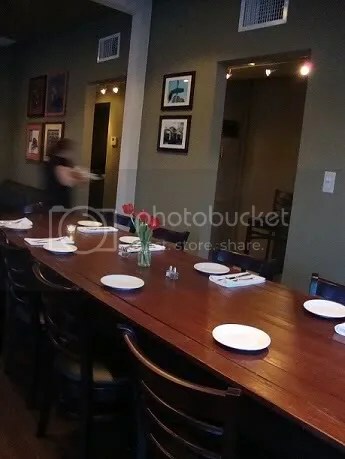 I was impressed with the atmosphere and general vibe of the house even before taking my seat at the high bar table and was anxious to see what the menu had in store. First off, the drink list. While Diamond explained trying to shift the bar towards the craft brew crowd, I was a little disappointed in the eight beers on tap. Now don’t get me wrong here, Four Peaks is a top notch brewing company, but doesn’t every hipster bar and restaurant boast their very own Four Peaks brew? (See: Delux, the Roosevelt, Stax, and so on.) While the beers on tap were nothing offensive, I was just a little surprised that there were more Four Peaks brews than anything else. It seemed like too safe of a list. They did however carry the Sonoran Desert Ale, as well as the IRA by craft beer heavy-hitters Stone. (Personally, I think they should have gone with the IPA). The wine list? GREAT. Upon looking at the wine list, I felt as though I had just run around an open meadow in the Swiss Alps. Finally, another non-Postino run wine bar that didn’t have the usual Russian Jack Pinot Noir or Sterling whatever mediocre red is popular this year–all at shockingly affordable prices, only two or three glasses at $10 and all else under that. Low light, no flash, but trust me, it was delicious! Food-wise, Main Ingredient hit the spot for me on such a cold and rainy Phoenix night. 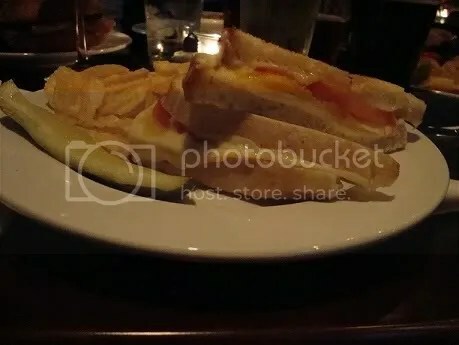 I opted for their Griddled Cheese; a grilled cheese sandwich made with muenster, cheddar, Havarti, and local tomatoes on sourdough. Ryan was a little more adventurous and tried their Jive Turkey which was oven-roasted turkey, jalapeño cream cheese, organic field greens, and local tomatoes on a freshly-baked baguette. Both were under $9, and came with your choice of a field greens salad or kettle chips. Wholesome and filling...bar food? Yes, please. Other fare: Mac n’ Cheese ($7) and an assortment of desserts including cheesecakes by the Arizona Cheesecake Company. Arizona Cheesecake Company is proud to support Matt and The Main Ingredient!